TV Madness 2019 is officially upon us! March is one of our favorite times of the year for many reasons — spring is in the air, the days are getting longer, and the idea of a bracket is a part of our pop-culture lexicon. 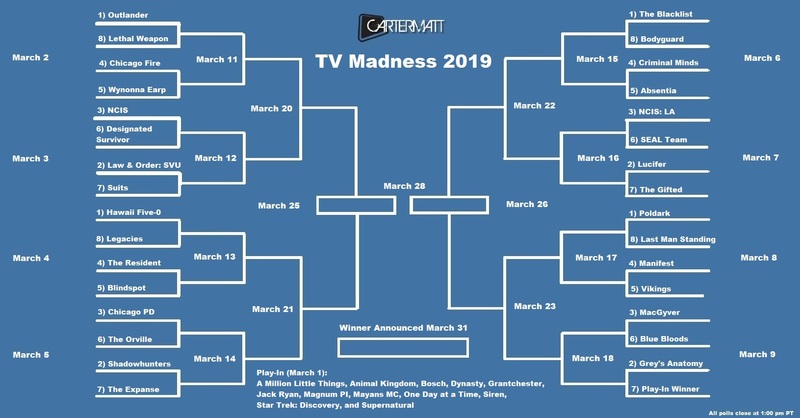 TV Madness is CarterMatt’s version of March Madness, where a number of fantastic shows from across the map face off against each other. There are seedings, head-to-head showdowns, and the performance of each show is based entirely on you, the reader. For this particular battle, we have two shows that have quite a bit in common in Shadowhunters and The Expanse. These are fans who are certainly used to fighting already! Both were canceled by their original broadcasters in Freeform and Syfy, and we’ve seen their viewers put out all of the stops in order to get them a new home. With The Expanse, it was lucky enough to find one over at Amazon; meanwhile, Shadowhunters has yet to be so fortunate, but its fans continue fighting. These are two stories and shows fueled by passion and we’re very curious to see who will move forward to round 2. 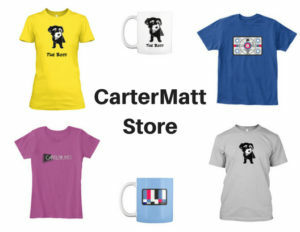 If you’ve taken part in CarterMatt’s TV Madness before, you likely know how this works — we spotlight the two competitors and then, on the other side of it, give you a poll for you to commence your voting! The poll is located at the bottom of this article. How voting works – Vote however often you would like! (Technical instructions for multiple voting can be found right above the poll.) We will keep this poll open until Thursday, March 14 at 1:00 p.m. Pacific time, which is when the winner will face off against either The Orville or Chicago PD, depending on the results of that showdown. It’s a tough road to make it all the way to the TV Madness finale, but both of these shows are capable! Shadowhunters (#2 seed) – You can easily argue that the Shadowhunters movement of the past several months is one of the most passionate fan campaigns of all time. We’re talking about a group of people who have funded billboards, pedicabs, subway advertisements, and also donated more than $20,000 to the Trevor Project. These are fans who adore the show and are inspired by the characters they see on it. We understand why, given that Shadowhunters is intense, romantic, action-packed, and stirs so many emotions. No matter what happens in terms of the series’ long-term future, you can still be assured knowing that there are a lot of new episodes still to come this season. There will be new tests, chances for relationships to blossom, and then an epic finale event at the very end where many storylines will come full-circle. The Expanse (#7 seed) – Telling quality science fiction is difficult and here you have a fanbase that understands greatness and has high expectations. You also have to get the science right without focusing so much on it that it weighs down your characters. The Expanse has that right balance and delivers through every season something that feels epic, dramatic, and completely immersive. 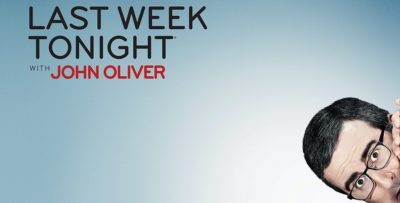 Fans of this show were understandably upset after its cancellation and took it upon themselves to rent an airplane banner to fly over Amazon Studios in Santa Monica. This, plus a number of other factors including Jeff Bezos’ own appreciation for the source material, led to a season 4. We know that there are many exciting things to come — while there is no official premiere date just yet, all signs point to a story that is bigger and better than ever before. Related – Check out some other TV Madness showdowns! Be sure to share who you want to see advance in our TV Madness Tournament below! How can I vote more than once? – If you are having trouble casting multiple votes, try switching your browser, your device, or visiting the page under private browsing or incognito mode. There should be many handy guides online explaining how to do so if interested.